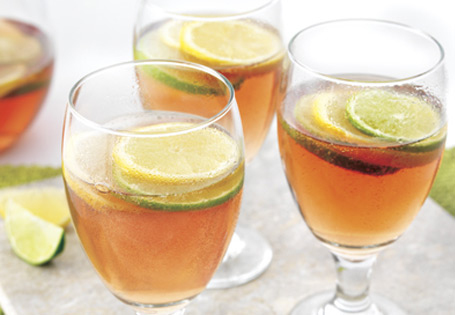 Divide lime and lemon slices between 8 wine glasses. Combine wine, mixer and cranberry juice and mix well. Pour the mixture over the top and serve immediately.